Since I’ve had a lot of experience traveling at this point in my life, I decided to do a mini series about my travel favorites. This is the final of three posts in this series. 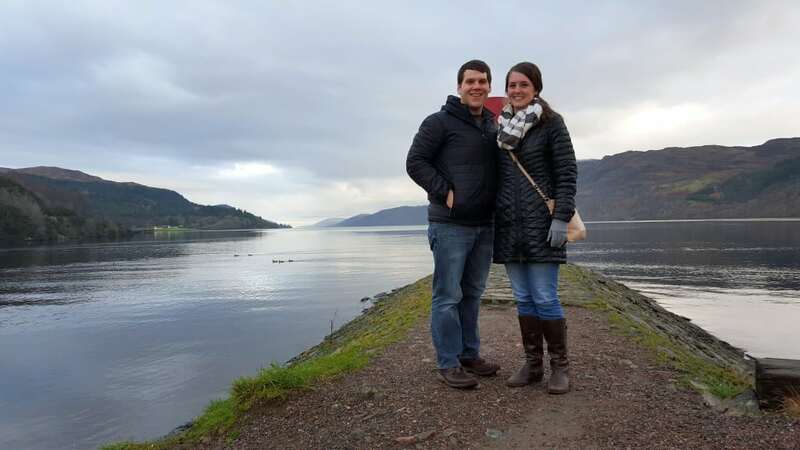 See my first post on travel tech here, and my second post on packing gear here. 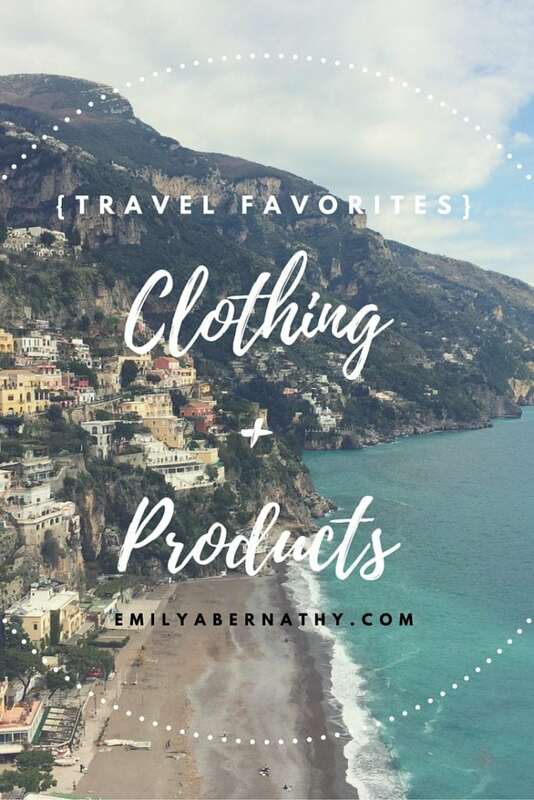 Today I’m sharing my favorite clothing and products that I brought with me on our big Europe trip. Daniel and I didn’t pack much to take with us on our trip. This made it all the more important (and difficult!) to pick out good quality clothing and products to bring. These are my very favorite clothing items and products that I brought with me in my backpack. This post contains some Amazon affiliate links, meaning if you click on the link, I receive a small percentage of the sale, but the price doesn’t change for you. Up until two days before our trip to Europe (Christmas Eve of last year), I had planned to wear a pair of boots I had purchased on clearance at a GAP outlet a year before. I thought they’d be fine, and I didn’t want to spend money on shoes that would just wear out from all of the walking we planned to do. Well, the sole of those boots started to fall off on Christmas Eve! My husband actually still needed shoes too, so we both headed to the mall Christmas Eve afternoon. All I knew was I needed something that would be comfortable for walking thousands of steps every day, and it had to keep my feet warm for the European winter. As a bonus, I really wanted something that I could wear casually with jeans AND that I could wear with leggings and one dress I brought with me. Well, I found the perfect thing! 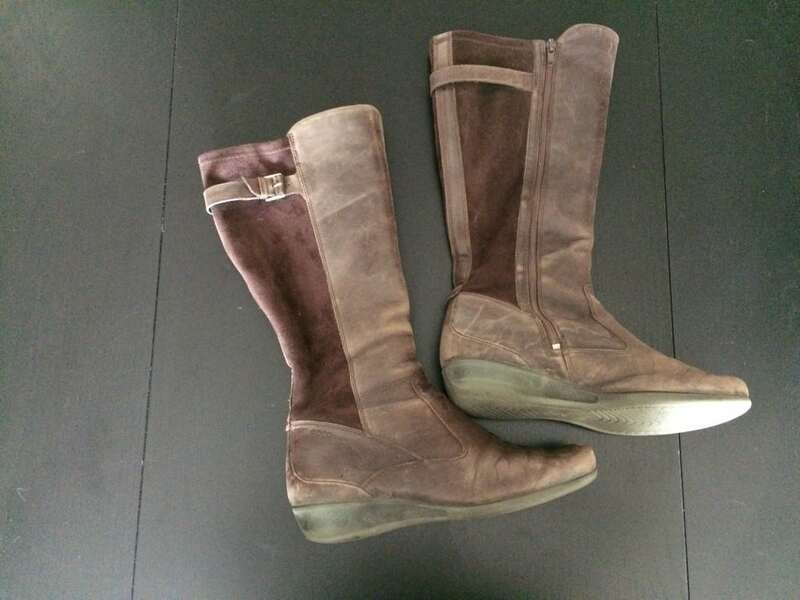 The ECCO Abelone Tall Boots…. Yes, these boots look pretty worn out, but I wore them every single day for nearly three months. They were the only shoes I brought with me so that I didn’t have to make room for shoes in my backpack. They are amazing! ECCO is a brand that specializes in being comfortable while still being stylish. The soles of these shoes formed perfectly to my feet. I rarely had aching feet which is amazing because we walked anywhere from 15,000 to 35,000 steps almost every day. While real leather isn’t made to go through all of the snow and rain that we experienced (resulting in the wear and tear pictured above), the quality did allow the boot to stay in good walking condition throughout the whole three months, and I don’t think fake leather shoes would have lasted. Other than my backpack and boots (above), I had one more larger purchase to make for a winter backpacking trip in Europe – a warm and lightweight coat. This Northface Thermoball Hooded Parka in black was exactly what I needed. Its thermoball technology somehow makes the jacket very warm without being heavy at all. It is knee-length, has a hood, and has the weight of a light rain jacket. 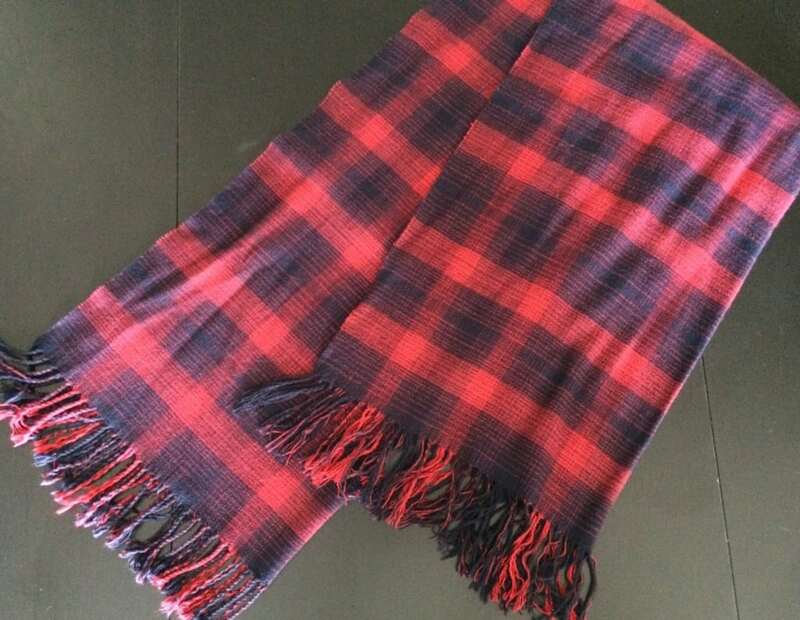 This combined with a warm scarf and gloves kept me very warm on even the coldest and rainiest days. While it is not waterproof, it did keep the water outside the jacket, and it dries very quickly. Today it still looks as good as new after being worn every day for three months. I will be wearing this jacket for years! I didn’t spend much time on makeup on this trip, so this was the perfect eye shadow. It is an eye shadow primer but the beautiful champagne color makes it a great shadow for an everyday, neutral look. Now that I’m home, I love using it as a base for other eye shadows. I’ve used this foundation (in shade 825) for a couple years now, and I still think it’s the best. 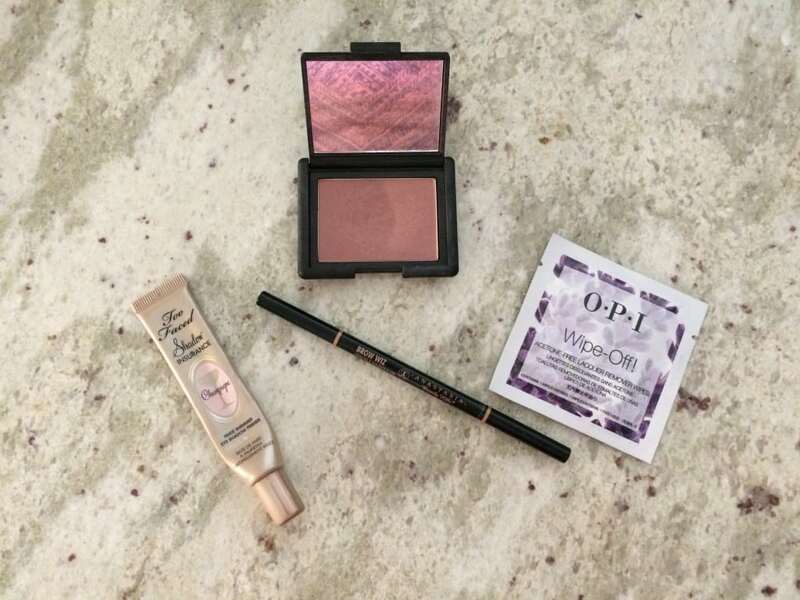 This was perfect for the trip since it has SPF 20 and stays on all day long – even through rainy and snowy days. This is another product I’ve used for a while, but I love it even more as a travel product. I can’t go without filling in my eyebrows, and this is very easy to apply and lasts all day. I used this blush every day. The light plum color was great for our mostly casual days, and easy to dress up a look with by applying a few more swipes. I did continue to paint my nails while traveling just because I bite my nails if I don’t paint them. There was no way I was going to carry around a bottle of nail polish remover, so I ordered a few of the OPI polish remover packets. One of these nail polish remover packets takes off all of my nail polish and toe polish very quickly. I find it a lot less messy and less damaging to the nail than other regular nail polish remover bottles I have used. I have naturally very thick and wavy hair. Usually I straighten my hair after letting it air dry over night, and then I don’t have to wash or style my hair much for the next five or six days. Other days I just let my hair be naturally wavy, but I’ve never been very happy with that look. I knew I wouldn’t take the time to straighten my hair much while we were gone, so I wanted to bring a couple products to help my naturally wavy hair stay in place while we were out and about. I’m not sure how it works, but somehow this curl creme helps my wavy hair stay in place much better than it does on its own. 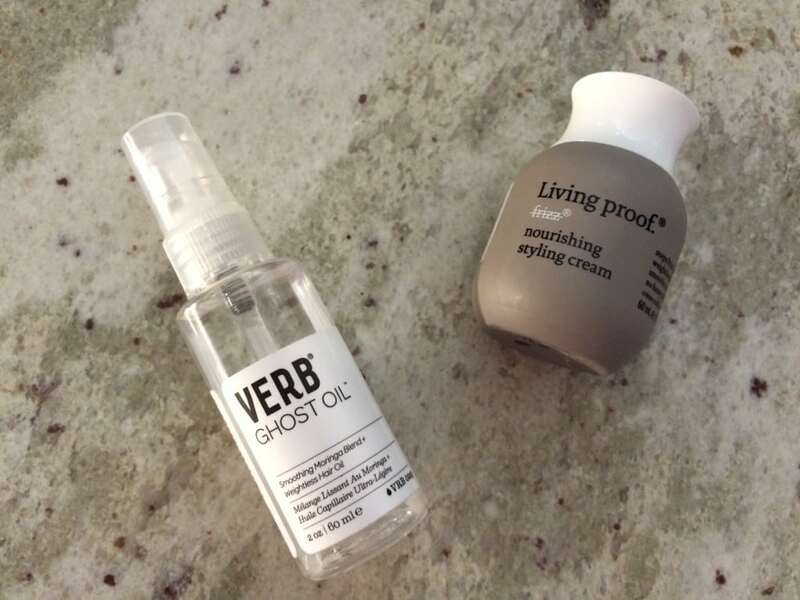 Since returning home, I have started wearing my hair wavy much more often just because of this product and how well it works in combination with the Ghost Oil I mention below. I have found that adding just a little bit of this oil to my hair keeps the waves from getting as frizzy as they do naturally. That’s it! 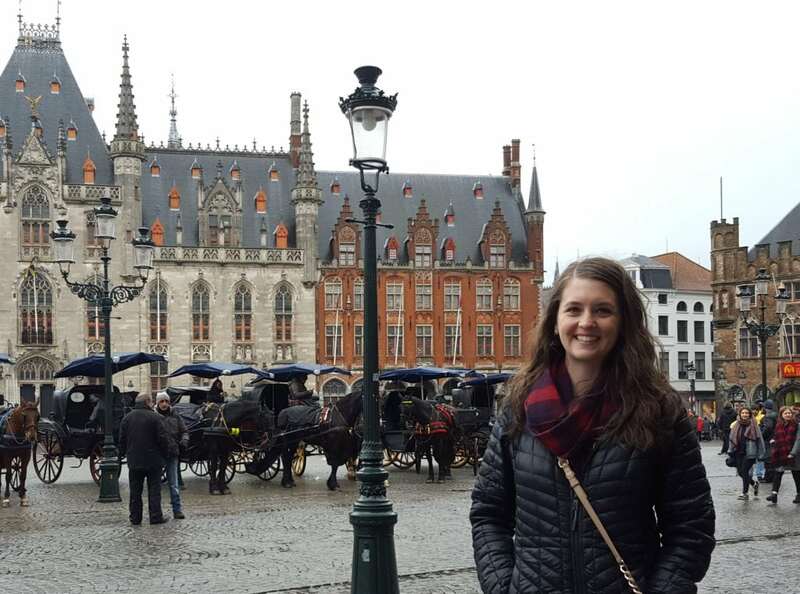 I hope you find this list useful for your upcoming travels! 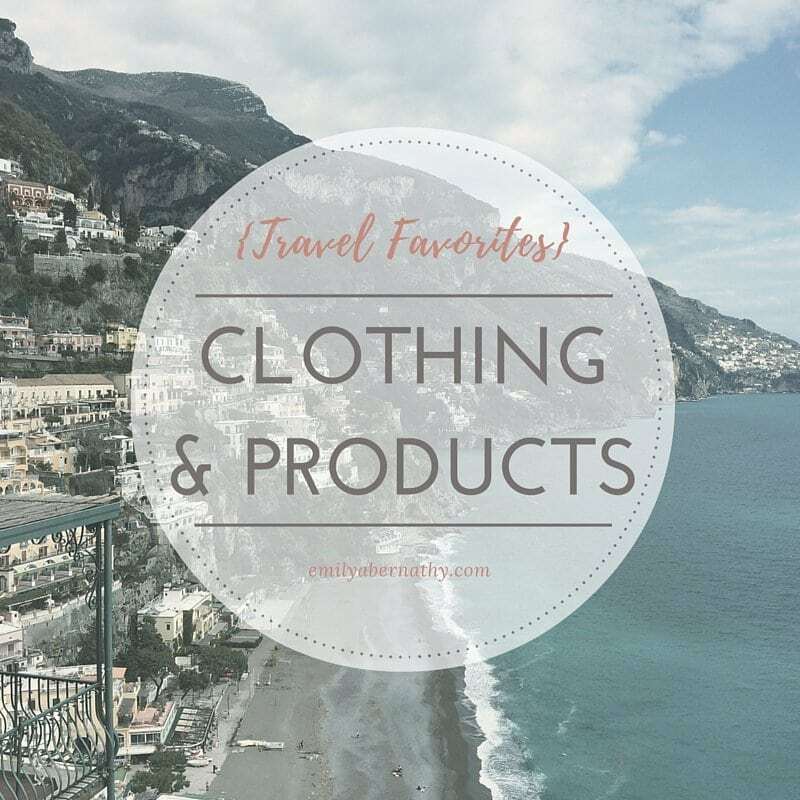 Please comment below if you have any other travel clothing and product favorites. I’m always looking for new ideas!